The Raspberry Pi LCD Keypad Add-On provides your RPi with a text based LCD display and a set of push button inputs. 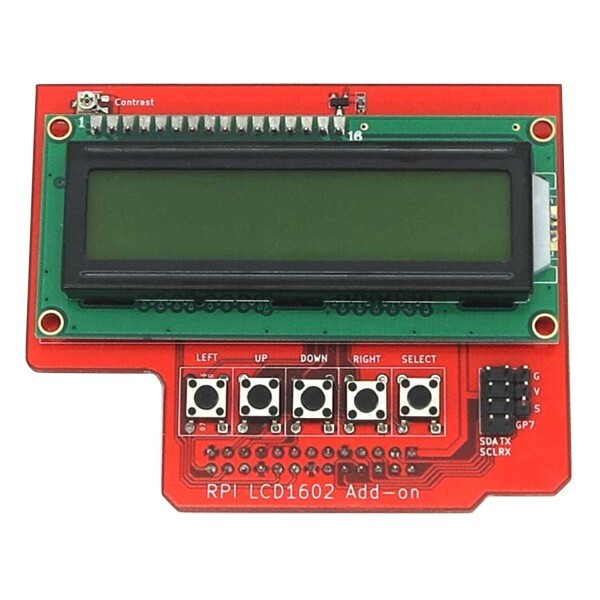 This Raspberry Pi compatible board uses the popular 1602 LCD module with an HD44780 compatible controller to display two rows of 16 characters. It also includes a five push button navigation keypad with labels for Left, Up, Down, Right and Select functions. A few extra headers provide access to additional Raspberry Pi GPIO pins. A contrast adjustment is also provided.